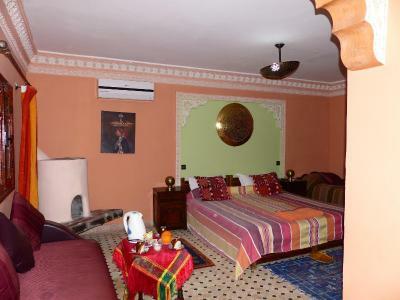 Lock in a great price for Riad Oussagou – rated 8.8 by recent guests! Great staff. Mohamed was very helpful in helping us with hikes. He was also responsive to our needs of additional heating in our room. 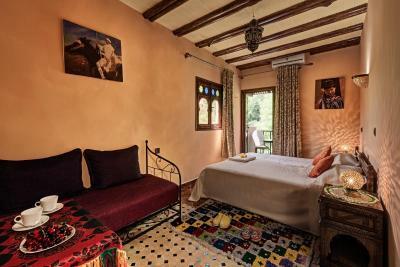 Very comfortable bed, great roof terrace with spectacular views. 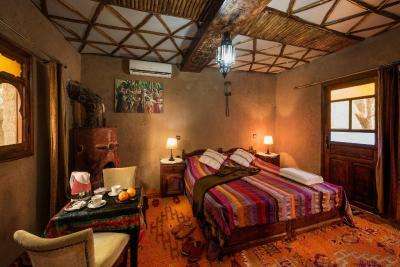 Mohammed Hussein and the and team put a lot of effort into maintaining good standards throughout the Riad - , nice furnishings inside and out, clean fresh bedding and towels, everything worked. The fire was lit each evening as soon as the temperatures dropped. Meals were of a good standard and plentiful. Tea/coffee making facilities in the room. 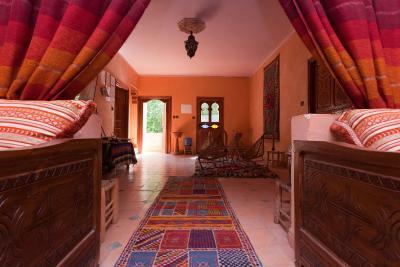 The Riad is about 1km from the village which is actually very nice ( there is not a lot happening in the village). Friendly people and always happy to help. We were not serious trekkers ( though most of the guests were) - this was however a lovely place to spend 4 days as there are plenty of options to do 3-4 hour walks on your own locally. The atmosphere at this place is really great. this was our second time staying as a family in the same room, and both stays have been very rewarding. 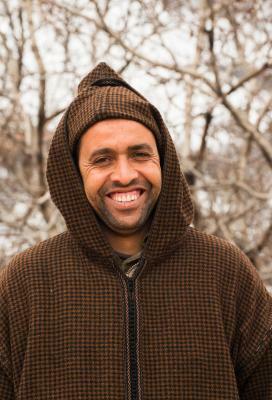 Mohammad is very friendly and attentive and speaks a decent English. We visited in snowy conditions, but the lounge area was always kept warm with a roaring fireplace, and the terrace was an ideal place to sunbathe and have the occasional snow fight. 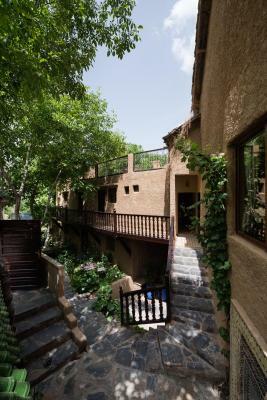 The staff were very nice and we enjoyed staying outside of Imlil. They made a good breakfast and excellent tagine. Very friendly stuff. Organized transfer to/from airport. Helped organize trekking equipment and helped to manage printing boarding passes. 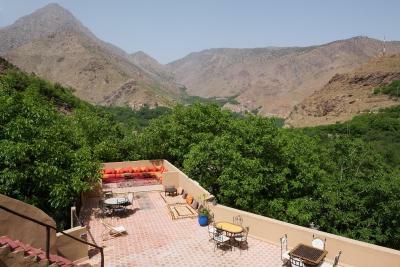 Mohammed was very friendly and accommodating, location and views were excellent. Cosy room. Dinner was wonderful. Good breakfast. 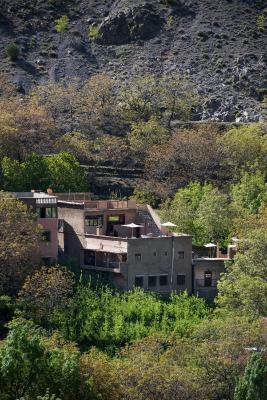 Ideal base for climbing Toubkal or hiking in the area. 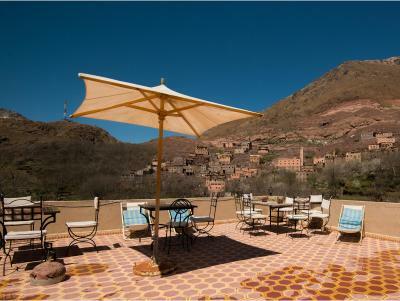 One of our top picks in Imlil.The Riad Oussagou is located in the High Atlas Mountains, next to the village of Imlil. 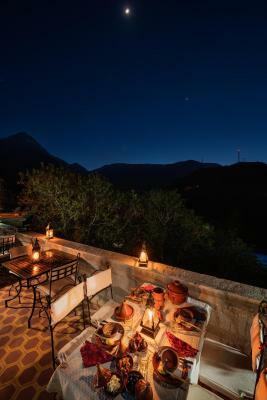 It features panoramic views of the surrounding mountains. 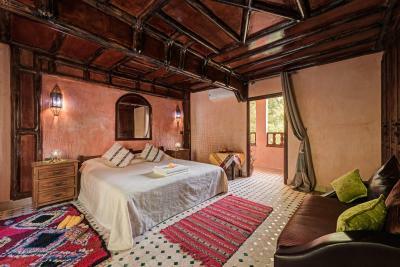 The guest rooms are decorated in a traditional Moroccan style and all include private bathrooms. Traditional nightgowns are also provided in the rooms. 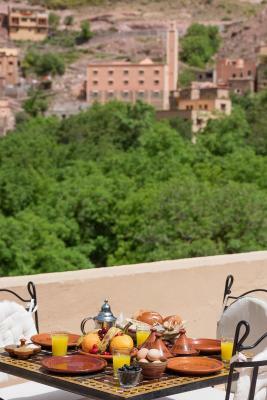 The riad offers a daily breakfast, which can be enjoyed on the outdoor panoramic terrace. 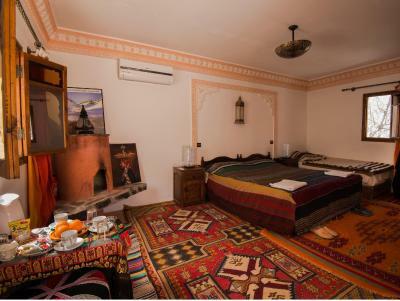 The Riad Oussagou’s official and experienced mountain guide can lead and assist you in your trekking through the Atlas Mountains. 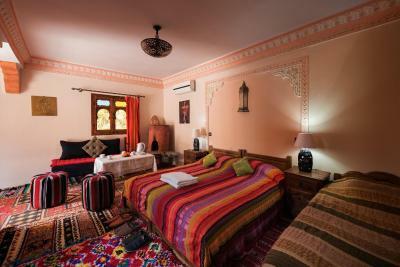 When would you like to stay at Riad Oussagou? 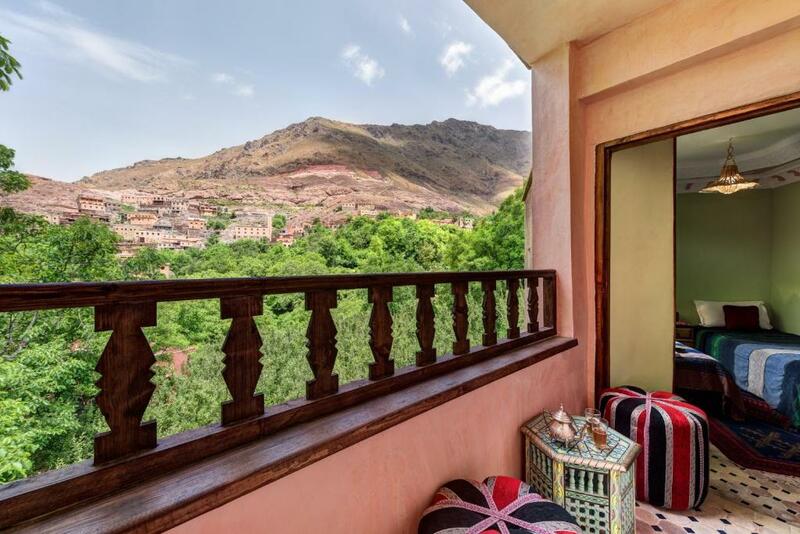 This room offers an private bathroom and garden views. 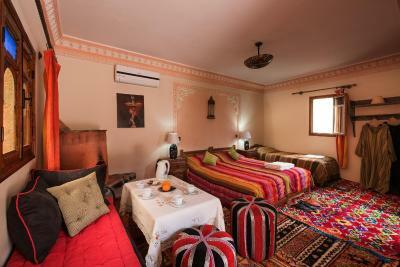 The rooms include free Wi-Fi access and free tea, coffee and fruit. There are also bathrobes and slippers in the private bathroom. 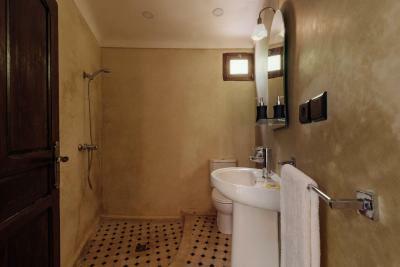 This room offers an private bathroom with a shower. Extras include views of the apple orchard. 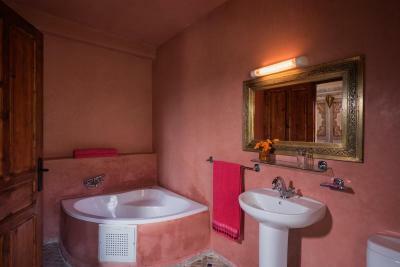 This room offers an private bathroom with a shower and garden and mountain views. 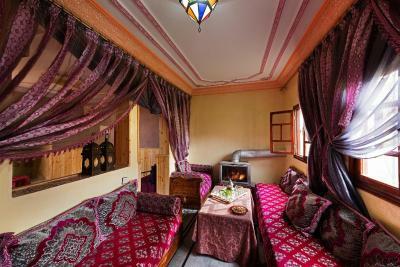 A balcony, extra large beds and a bathroom with a hairdryer feature in these rooms. 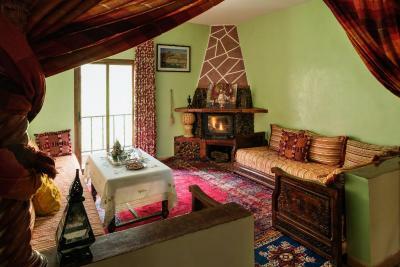 Offering a balcony with panoramic views, this room features a fireplace. It includes a coffee maker, a seasonal fruit basket and a hairdryer. 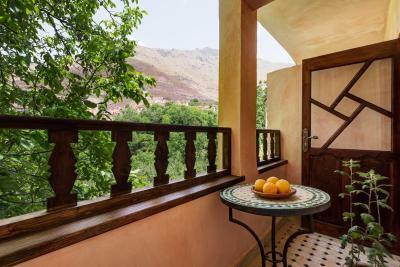 A Warm Welcome Awaits you at Dar Ouassaggou.It is a small comfortable guest house with wonderful views; an ideal base for walkers wishing to spend a night before and /or after their trek in a simple, clean guest house outside the village of Imlil. 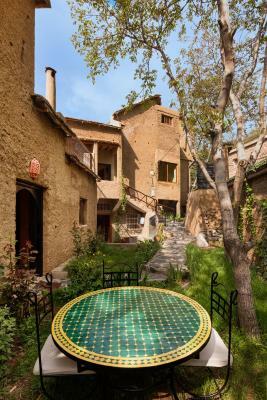 House Rules Riad Oussagou takes special requests – add in the next step! 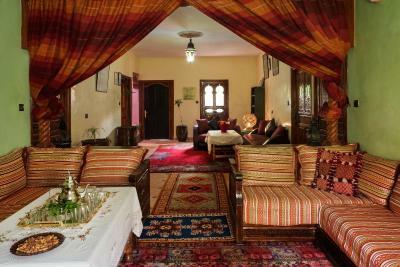 Please inform Riad Oussagou of your expected arrival time in advance. You can use the Special Requests box when booking, or contact the property directly using the contact details in your confirmation. More variation in the dinner menu would be appreciated even though the quality was excellent. 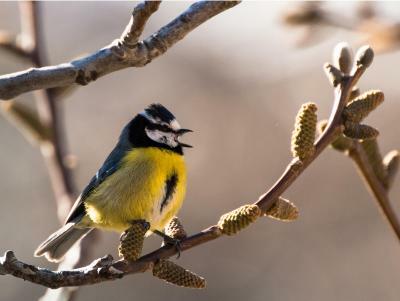 If you are late for breakfast, you may not get all the good stuff. 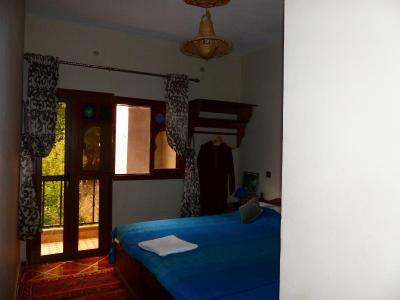 Modest room with picturesque view, air conditiong, private bathroom. The owner is a humble and helpful man. 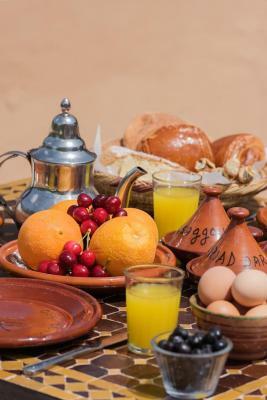 Typical Moroccan breakfast, good for hiking. 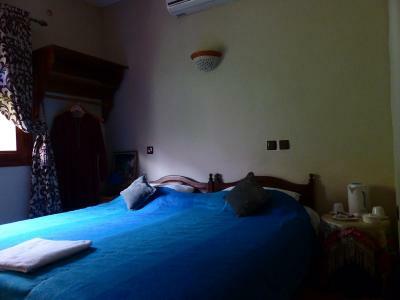 Amazing quality for money, big room with balcony, nice bathroom, even had little slippers and kettle etc. Very delicious dinner, nice hangout vibe with a fire and couches in the common area. 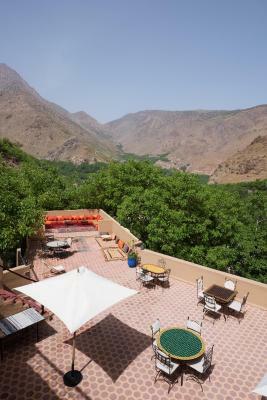 Wonderful Riad up in the village of Imlil with great views, good food, great service, and perfectly fine rooms. And you cannot beat the price. 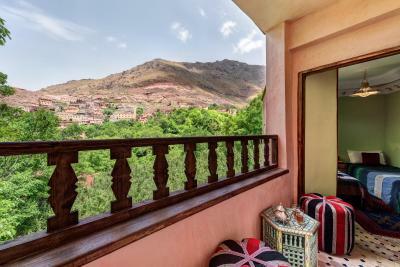 The 2 terraces are wonderful spots for looking out at the village below and the peaks of the Atlas mountains. 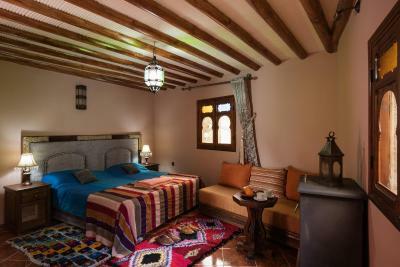 riad has good Wifi . The balcony was lovely an I got to see some amazing views of the mountains. Hussain. 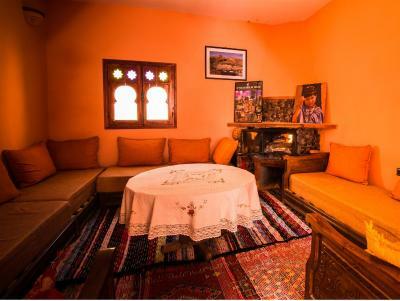 He greeted us on our arrival with Moroccan mint tea, told us about what we could do in the area and got to know us, provided amazing food and was hospitable throughout our stay here. ! We would definitely use him as a guide in the future when we return to climb Mount Toubkal! All the staff were professional and they did a great job. Our taxi from the airport was organised via email and that was easy and straightforward! The food was very and breakfasts were generous. We enjoyed the Moroccan way of eating together in the evening and made some friends doing it that way! 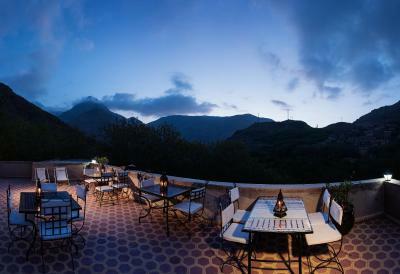 The terrace was also great, where we got some great shots of stars, and where there was an amazing view down into Imlil. You can do it relaxing or you can do lots of hiking - There are lots of guides however so you can do it whichever way you want. 100% recommend this place, as will be back! 5 stars for everything! 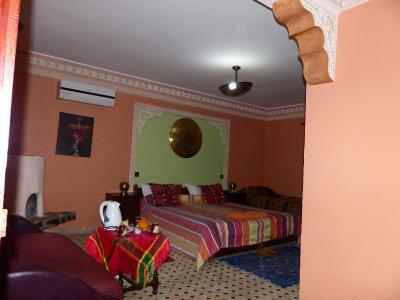 From start to finish I can't fault this Riad. Our hosts arranged for a car to pick us up from Marrakech and an enjoyable journey to Imlil. On arrival we were greeted warmly by Mohamed and could not believe the incredible views. 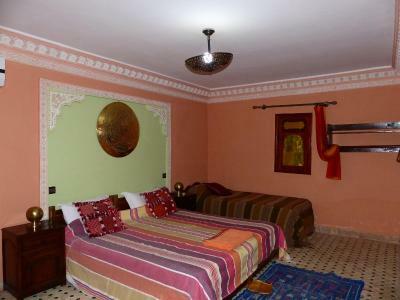 The room was clean, inviting and frankly everything exceeded expectations at such good value for money .I ate at the Riad for 1 night and every meal was amazing, the best tagines I had and excellent value. Breakfast was plentiful and set you up for the day. 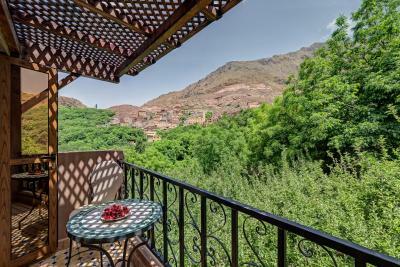 Imlil was a 5 minute walk away to get provisions and marvel st the myriad of shops and cafes. We had an uninterrupted wifi signal during our stay but put the phones away and look around! There are various trekking options available that are laid out in a clear and precise way that you can choose to do or just wander about and see where the paths take you. I can't recommend this place highly enough. We will be back. It was super cold in the apartment. Great crepes for breakfast, beautiful terrace to relax on. We stayed in the apartment which was super spacious with lots of hot water. Staff always available, we had dinner one night which was delicious and great value for money. Highly recommended. 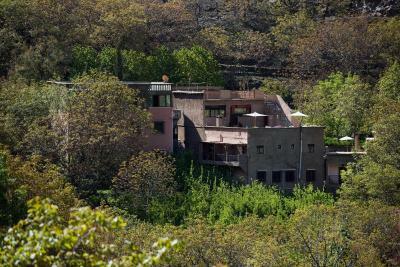 It has a perfect location, you can hear the waterfall, see the blooming trees in the garden, take the trail to the mountians right next to the house. Every detail on the house is beautiful, it was very clean and the roof has a wonderful view. 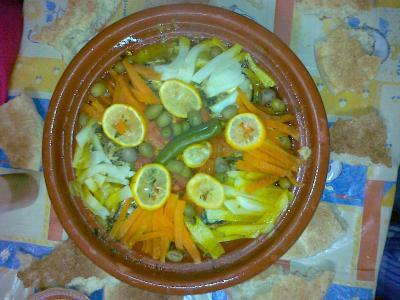 Mohamed our host welcomed us a delicious mint tea and they cooked tasty cuscus for dinner.